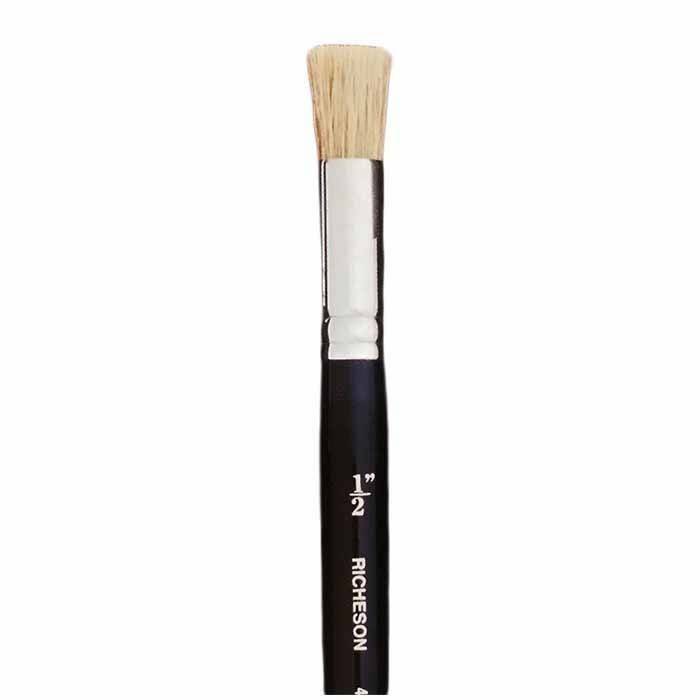 Natural white bristle stencil brushes with a traditional barrel handle. Black, varnished handle, nickle ferrule. Very nice brushes for the money. Natural white bristle stencil brushes with a traditional barrel handle. Black varnished handle, nickle ferrule. Very nice brushes for the money.